The Blomidon Inn caters to diverse clientele. It is a favourite honeymoon destination, and we also offer facilities for small corporate meetings and other special business gatherings. All of Blomidon Inn’s guests appreciate the complimentary high speed internet & HDTV in their hotel rooms. The Blomidon Inn offers 31 accommodation units including executive suites & apartments, a honeymoon cottage and a range of hotel rooms & suites in the inn itself. 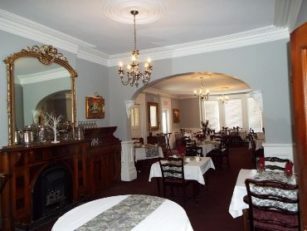 The Blomidon Inn Restaurant is a favourite fine dining establishment of Nova Scotians. This well-known Wolfville restaurant has been honoured for the past decade for having one of “the World’s Best Restaurant Wine Lists” by WineSpectator Magazine. The dining fare is crafted whenever possible from local Annapolis Valley products and fresh catches from the waters of Nova Scotia. Dining guests are delighted to see how much comes directly from our chef’s garden. Have you heard of Blomidon Inn’s gift certificates? They make wonderful gifts! 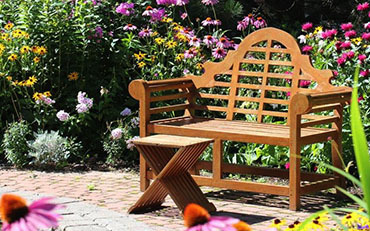 Many hotel guests also take time to “smell the roses” and the Blomidon Inn Gardens, are a wonderful place to do so. The acres of gardens are a photographer’s delight. It is not unusual to see many guests strolling through the gardens after lunch or dinner at the Inn. 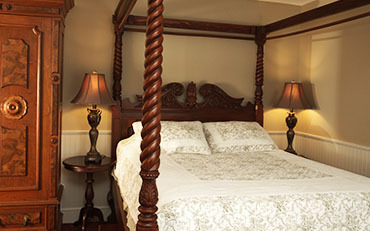 With all of these on-site delights Wolfville’s Blomidon Inn does indeed offer full service accommodations. Gift Certificates are always available for any of our services including accommodations, visits to the restaurant, and overnight packages.